Perhaps nobody has as exquisite craftsmanship as Pixar does in making animated features. With its totally 14 feature films ever created since 1995, the subsidiary of The Walt Disney Company makes it easily earn 27 Academy Awards, 7 Golden Globe Awards, and more. Since there has been a great number of people demanding for the best Disney Pixar movies, here we have compiled the list of Pixar films and reviewed the top Disney Pixar movies considered as the best as a response. Tips: the Walt Disney Pixar has made every film such a masterpiece with compelling story and unforgettable characters that even the worst of Pixar is better than the best of competitors. So it's absolutely worth to get the animated kids movies on DVD versions of all the best Pixar Disney movies for lifetime keeping. But for on-the-go Pixar movie watching or insurance against scratch or damage, preparing a professional DVD ripper beforehand to make a Pixar DVD backup seems to be much needed. Working as a full-featured Disney Pixar movies DVD ripper, MacX DVD Ripper Pro can easily rip Disney Pixar DVD to MP4, FLV, AVI, WMV, MOV, MPEG, QT, etc with seamless support of any DVD copy protection like Disney X-project protection, CSS, Region Code, Sony ARccOS, UOPs, etc. 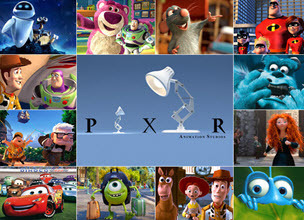 As is mentioned above that Pixar has created fourteen feature films, beginning with Toy Story (1995), and its most recent being last year's Monsters University. Below is the total flicks ever produced by the studio. Almost all of the films created by Pixar have received both critical and financial success. But there is still something exception like Car 2. Though achieved with a commercial hit, this film is substantially less praised than Pixar's other movies, receiving only 39% at Rotten Tomatoes. But here to help you have an unblemished movie enjoyment, just read the following best movies from Disney Pixar that are not only deserver merely few hours cheers, but a decade or even lifetime. 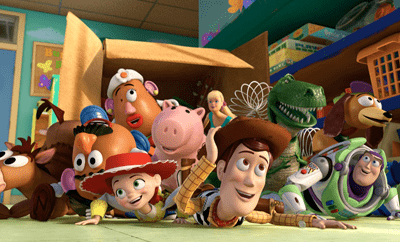 Toy Story 3 might be the best three-quel ever produced by Pixar in the history of family-friendly movies, which is one of the rare occasions where the third film gives such a perfect and definitive ending. It won the awards for both Best Animated Feature and Best Original Song and became the highest-grossing animated film of all time worldwide until it was surpassed by Frozen in March 2014. This story centers on the toys who are mistakenly delivered to a day-care center instead of the attic right before Andy leaves for college, and it's up to Woody to convince the other toys that they weren't abandoned and to return home. 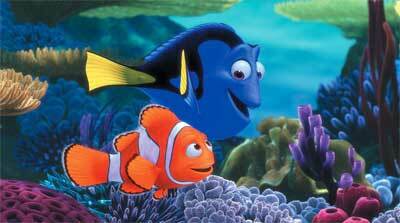 Except for Toy-Sotry's dominance of multiple decades, Finding Nemo, from 2003, is another one of the best Disney Pixar movies ever created, featuring the most widely accepted characters incl. Nemo and Dory from Pixar picure. Statistics shows that it was the second-highest gross film in the year of its release and is the best-selling DVD of all-time with more than 40 million copies sold as of 2006. Credit is also given to the film's story which focuses on a timid clownfish setting out on a journey to bring him home after his son is captured in the Great Barrier Reef and taken to Sydney. 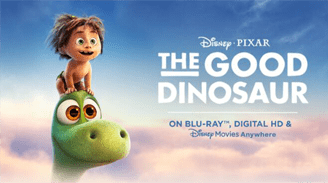 Synopsis: A young Apatosaurus who meets an unlikely human friend while traveling through a harsh and mysterious landscape. 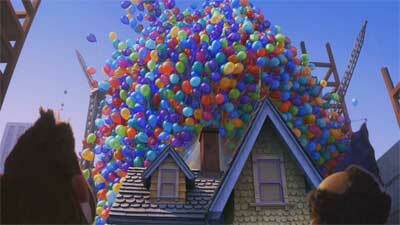 Just the more story, heart and emotion in the first ten minutes of Up mark it the best aspects of all of Pixar films. Because of the masterful combination of just enough humor with the right amount of heart, Up became the second animated movie to ever receive a Best Picture nomination at the Oscars. This flick details a 78-year-old Carl setting out to fulfill his lifelong dream to see the wilds of South America. Russell, a wilderness explorer 70 years younger, inadvertently becomes a stowaway. 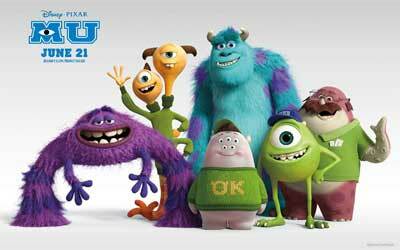 Most of Pixar films are emotional, but Monsters University is exceptional. It is set to feature a widespread array of humour but it ultimately portrays the bond between friends and provides insight into what ultimately brings Mike and Sully together! 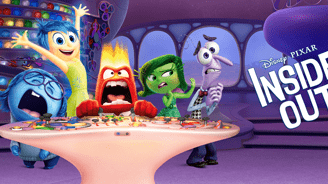 Though it doesn't scale the heights of Pixar's finest efforts, Monsters University is still ranking the top Disney Animated film by Pixar of all time and and is funny and thoughtful family entertainment for viewers of any age. 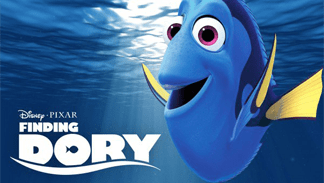 Plot: This movie tells an amnesiac fish Dory who journeys to be reunited with her parents. 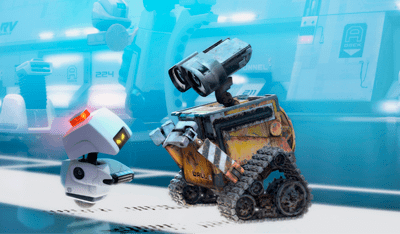 Wall-E quite meets with the high standard that Pixar has set for itself. Even with a first act that is almost entirely without dialogue, the animation studio's crowning achievement makes boffo box office and won the Oscar for the best animated film. So if you are waiting for the best movie by Disney Pixar, Wall-E will absolutely not miss from the top movie list. The listed best Pixar movies do not mean the end of Disney. Here are still the upcoming Disney movies 2014 to entertain you. For more Disney movies, please stay tuned with us. 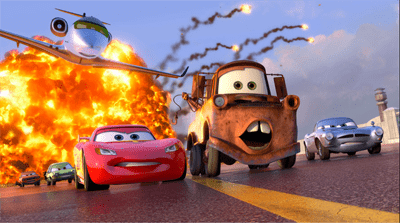 As the sequel to the 2006 film Cars, undoubtedly, Cars 2 received high reputation. Directed by John Lasseter and Brad Lewis, this best Disney Pixar movie tells a story about that a Star race car Lightning McQueen and his pal Mater head overseas to compete in the World Grand Prix race. Want to know what will happen during their adventure? Try to watch Cars 2 online or copy Cars 2 DVD to iPhone iPad Android for enjoying without any limits via a powerful DVD ripper for Mac. Good news: Cars 3 is scheduled for release on June 16, 2017. Synopsis: A young girl named Riley Andersen tries to lead her through life as her parents move from Minnesota to San Francisco. 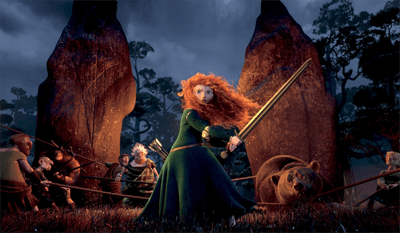 Directed by Mark Andrews, Brenda Chapman and Steve Purcell, Brave (2012 film) received both positive reviews and box office success. And it won the Academy Award, the Golden Globe and the BAFTA Award for Best Animated Feature Film. Brave Disney Pixar movie mainly describes that a princess Merida try to defy a custom rely on her bravery and her archery skills. BTW, many amazing soundtracks in Brave Disney film are worthy of downloading, for example, Touch the Sky, Into the Open Air, Learn Me Right, Fate and Destiny, The Games and more. As is mentioned above, these masterpiece produced by Disney Pixar is so worthwhile that you will keep them to the utmost. Generally, a good way to realize the task is to make a copy of the DVDs by Disney with a great DVD ripper. But the majority of DVD ripping software is usually bogged down by DVD copy protection, not to mention the X-project protection while ripping the Disney DVDs. If you are still looking for a solid Disney DVD ripper, the high-acclaimed MacX DVD Ripper Pro can save your life. Armed with unique DVD analysis technology, the DVD ripper for Mac can well bypass copy protection and rip any new DVD movies produced by Disney, Sony, Paramount, etc to whatever format or device without a hiccup. That's to say, you can even rip the latest Disney DVDs including the red-hot Frozen to MP4, MOV, FLV, AVI, etc for playback on iPhone, iPad, Android with 1:1 image quality. After ripping DVD to MP4, MOV, MKV, etc, you can rely on this useful iOS file manager - MacX MediaTrans to transfer the converted DVD video from computer to iPhone iPad iPod for enjoying on the move. Notice: The software only advocates using Mac DVD ripper to copy and rip DVDs under the concept of Fair Use and does not encourage any illegal reproduction or distribution of copyrighted content. Please abide by the local DVD copyright law before doing it.